Welcome back to day three of punch mania! One of the key elements of making a good drink (whether it's homemade lemonade or something with a little more power like mojitos) is a simple syrup. Sure, you could buy a bottle for only a few dollars at the liquor store. But it's so incredibly easy to make, why would you? When you make simple syrups yourself, you also have the opportunity to infuse delicious flavors into the syrup, to make amazing, delicious, complex, gourmet drinks that are astonishingly easy! Lavender infused lemonade for a French-themed wedding, anyone? Simple syrup is nothing more than equal parts water and sugar, heated until the sugar dissolves. Sugar and water just combined and starting to heat up. Making an infused simple syrup is just about as easy as a plain one. Let's use a mint-infused simple syrup as an example. 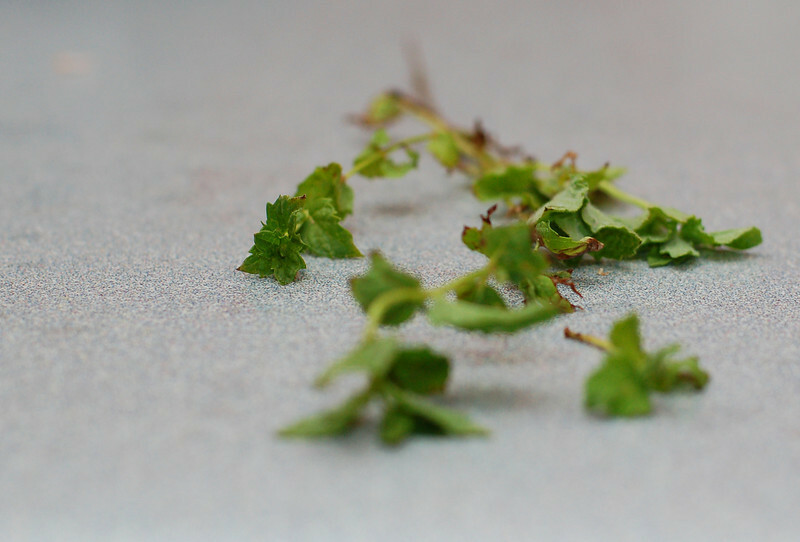 Take a few sprigs of fresh mint. Fresh mint for the simple syrup. Toss the mint in with the equal parts sugar and water, and heat until the sugar dissolves. 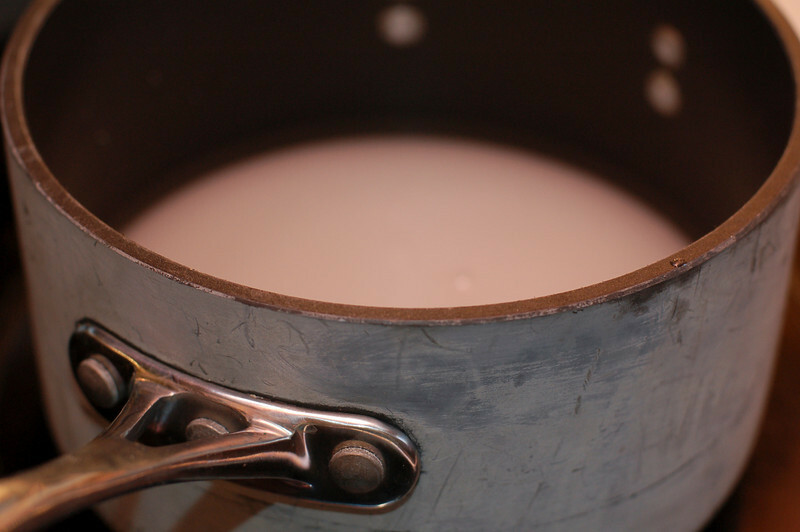 Remove from heat, and let steep until the syrup has cooled to room temperature. Remove the mint. Want a more intense mint flavor? 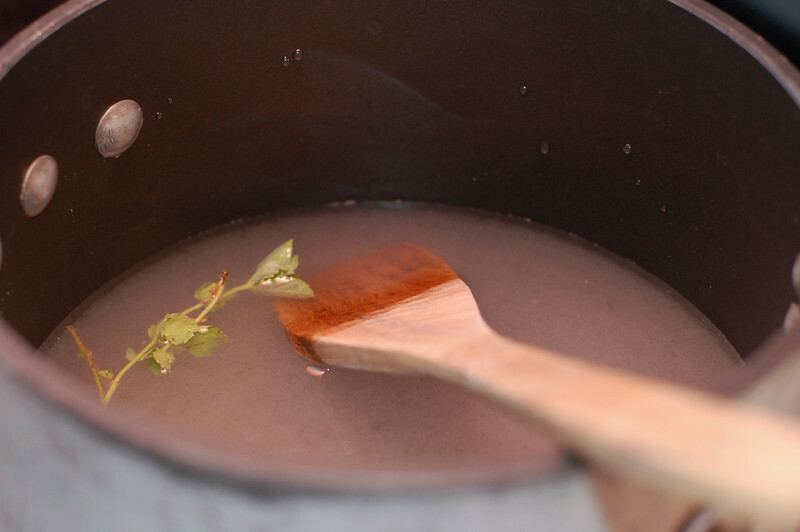 Use more mint, or crush the leaves a bit with a muddler or mortar and pestle to help release the oils. Infused simple syrups are so easy to make, but they add such a magnificent layered flavor to drinks, alcoholic or not. Try making a memorable signature drink for your wedding or party!